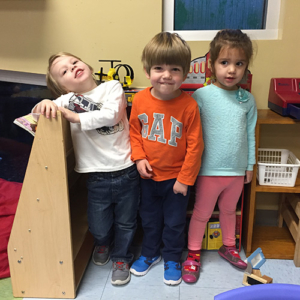 Our goal is to create and implement a total nurturing environment in which your child develops a positive self-image, enjoys peer relationships, and a curiosity and love for learning. Children’s Place is open from 7:30 am to 6:00 pm Monday through Friday. Full day, ¾ day, and ½ day options available. Children’s Place closes a week in June, August, and over the winter holidays; besides MLK day, 3 days at Mardi Gras, Easter Weekend, Memorial and Labor Days, and 2 and 1 ½ days at Thanksgiving.